Natural beauty comes in a kaleidoscope of colors each fall at the North Carolina Arboretum in Asheville. Vibrant colors amid trees, shrubs, and perennials delight the senses. 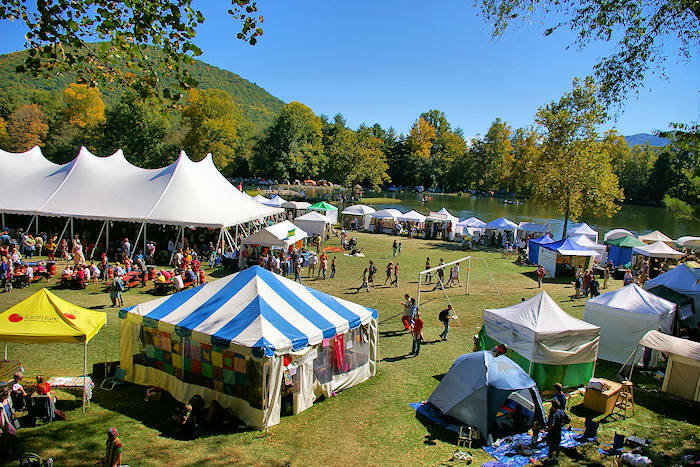 Surrounded by the Blue Ridge Mountains and adjacent to the scenic Blue Ridge Parkway, it's one of the most beautiful natural settings in the South. With the great diversity of trees on their 434-acre public garden, you'll find a long fall color season. Peak color is the last two weeks of October. 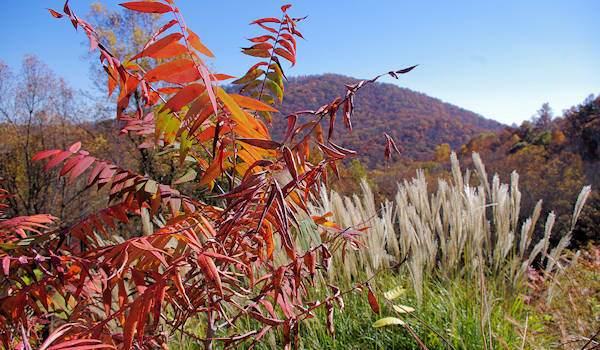 Often, areas of great color extend into early November. 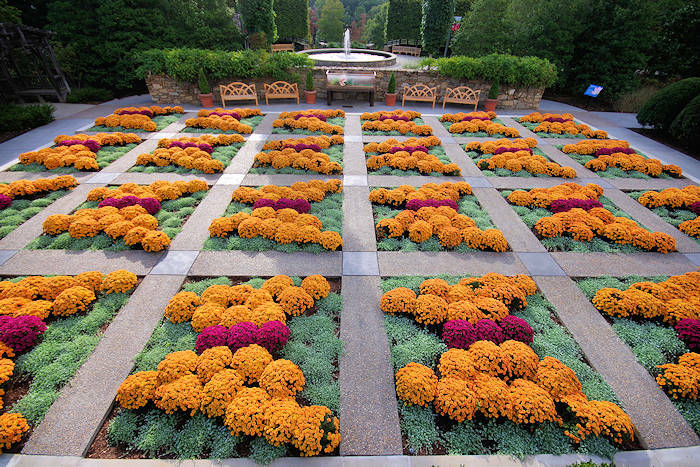 See the mum display in the Quilt Garden (pic at top of page), along with fall plantings in nearby gardens. 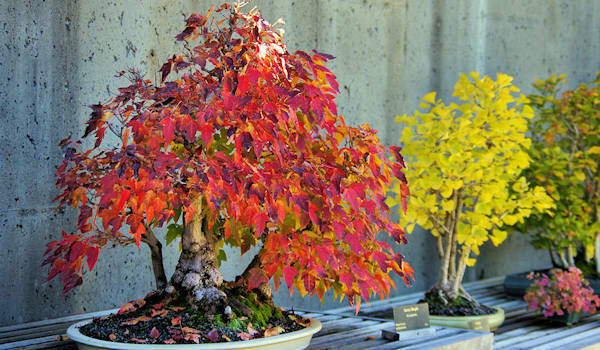 Find the tiniest fall color show in the Bonsai garden (pic above). Forest Meadow (adjacent to the amphitheatre) was designed with tree selections that would exhibit great fall color. Education Center Entrance Plaza, behind the Arboretum fountain surrounded by fall seasonal plantings, find a beautiful October glory maple that is backed by the two black gums on either side of it that demonstrates great color during the fall. Mountain bike the forested loop of Hard Times Road, Owl Ridge Trail, Rocky Cove Road and Bent Creek Road. Begin at the parking area near the Gatehouse. Hike the Carolina Mountain Trail, a 1.2-mile hiker only trail that starts at the Education Center and ends at Bent Creek Road. Pass through three forest types: pine, mixed hardwood and ericaceous. Read about native trees and insects via interpretive signs along the way. Pick up lunch at their Bent Creek Bistro and find the perfect picnic spot. For more gardens and trails, see our complete NC Arboretum Guide. On Tuesdays and Saturdays beginning at 1 PM, take a free guided walk with trained volunteer guides along woodland trails and through a variety of forest types. The 2-mile walk lasts about 2 hours, beginning in the Baker Exhibit Center lobby. On Fridays beginning at 10 AM, take guided walk with a trained volunteer through the cultivated gardens, talking about design, plans and general gardening info. Learn how you can help the monarchs, purchase milkweed to benefit the Arboretum’s youth education initiatives, make and take butterfly crafts and witness monarch butterfly tagging. 10 AM-4 PM. Watch the butterfly release at 11:45 AM and 2:45 PM. Educational presentations at 11 AM and 2 PM. Read about the monarch butterfly migration. Asheville transforms into the bonsai capital of the Southeast! This horticultural extravaganza inside the Education Center features a juried display of bonsai by clubs from across the southeast, a renowned bonsai marketplace, workshops, free demonstrations, and a popular Ikebana exhibit. 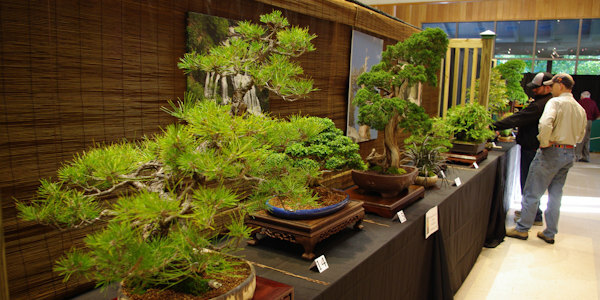 The two-day event features workshops to learn bonsai and ikebana techniques from master artists. Open 9 AM-5 PM both days. There is no charge for visitors to attend although usual parking fees apply. Walk through the gardens aglow with 500,000 lights! Read about Winter Lights. 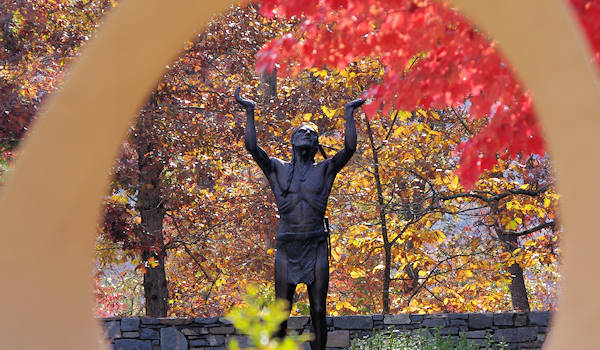 The Arboretum is a photographer's dream each fall with the many colors, warm lighting and an impressive outdoor sculpture collection.To plan a visit, see our complete NC Arboretum Guide. 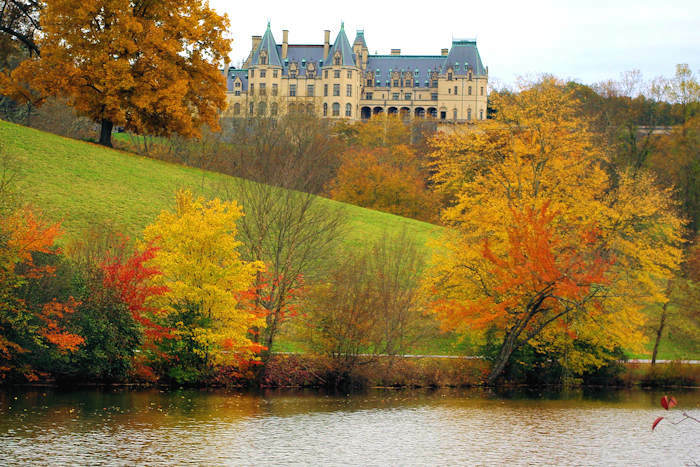 For the latest on fall color and events in the Asheville area, go to our Fall Foliage Forecast. Property Hours: The gardens and trails are open daily, weather permitting, 8 AM–9 PM September–October. The entrance gate closes one hour before. The Education Center, Baker Exhibit Center and Bonsai Garden are open daily 9 AM–5 PM. Wheelchair Access: The buildings, gardens and some trails are wheelchair accessible. Wheelchairs are available free of charge onsite, on a first-come, first-serve basis. Directions: The NC Arboretum is located off NC Highway 191, south of Asheville. From I-26, take exit 33; from I-40, use exit #47 (Farmers Market). From both these exits, follow Blue Ridge Parkway (and 191 South) signs to the Parkway entrance ramp. Arboretum entrance is immediately on the right, after exiting onto the ramp. From the Blue Ridge Parkway, take Milepost 393 exit.